That being said, there is a strong case for arguing that really, Brexit doesn’t actually change the fundamentals of property investment and that the best way to "Brexit-proof" your property portfolio is to be really disciplined about making sure that you ask yourself the three key investment questions and thoroughly check your answers to them. Do I actually need to make any changes to my portfolio? 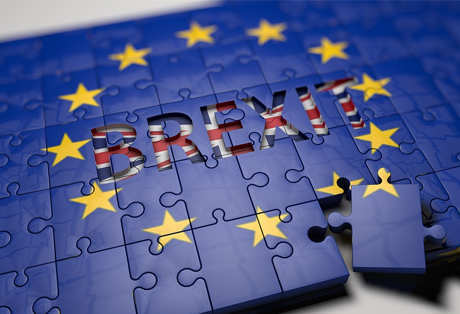 With all the talk about Brexit and emotions running high, it might be easy to fall into the trap of thinking that you absolutely must do something to ensure that your property portfolio continues to perform well after Brexit. In reality, however, if your portfolio is based on solid fundamentals, then there is a very good chance that it will continue to do so after Brexit for the simple reason that people will continue to need somewhere to live and for all the government's commitment to house building, there is still a chronic shortage of property both to buy and to rent. Do I need to make changes to my financial arrangements? If your property portfolio is not delivering the results it used to then you should ask yourself very seriously whether the issue is genuinely related to Brexit or whether it is a reflection of the changes in the UK residential-property sector. It's important to be clear about this as the answer to this question will probably strongly influence the actions you take. For example, if you determine that the issue really is Brexit, then it may be appropriate to exit some or even all of your property investments, whereas if you determine that the issue is actually that recent changes have reduced your yields, then you may wish to look at other alternatives such as securing a more attractive mortgage deal or even setting yourself up as a limited company. Not all investment properties are created equal and the act of assessing how well your property portfolio is likely to stand up to Brexit could be a good opportunity to look around and see what else is available and whether or not you might be able to achieve better returns and/or lower your investment risk by adjusting your portfolio to some degree. For example, you might want to consider switching out residential property for commercial property or balancing your portfolio between mature markets with lower yields but consistent performance and more “up-and-coming” markets such as Newcastle. You might even want to consider looking at overseas investment properties including those outside the EU. The U.S. for example has some excellent property-investment destinations. Alternatively, if you're prepared to look outside English-speaking countries then you literally have a world full of possibilities from well-known international hubs such as Dubai to hidden gems such as Cape Verde.